Natural And Artificial Flavors, Sodium Citrate, Sucralose, Acesulfame Potassium (Ace-K), Maltodextrin. For use as a dietary supplement only by healthy adults the age of 18 and over. Do not use this product if you are nursing, pregnant, or attempting to become pregnant. Do not take this product if you have any pre-existing medical conditions or if you are using any prescription or over the counter medication. Discontinue use and consult your health care professional if you experience any adverse health effects from this product. This product may contain ingredients banned by certain sports organizations. User accepts all risks, liabilities, and consequences in regard to testing. Do not use if safety seal is broken or missing. Use only as directed. Do not exceed recommended serving under any circumstances. KEEP OUT OF REACH OF CHILDREN. Natural And Artificial Flavors, Sucralose, Malic Acid, Acesulfame Potassium (Ace-K), Maltodextrin. Citric Acid, Natural And Artificial Flavors, Sucralose, Acesulfame Potassium (Ace-K), Maltodextrin. 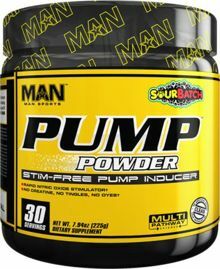 Pump Powder is a straight-forward, effective & to the point formula boasting a trifecta of pump ingredients dosed to specifically yield perpetual pumps, super vascularity & strength gains so every workout is positive progression. 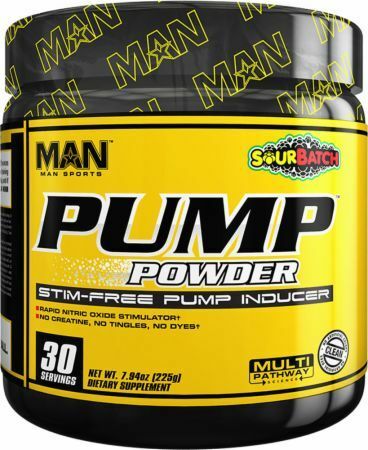 We dreamed up Pump Powder from the need for a product that: hits within minutes, keeps you pumped & vascular hours after your workout has ended, mixes with anything and tastes phenomenal. Welcome to the world of Pump Powder. Pump Powder is formulated to stack with any pre or intra-workout cocktail you can dream up. Simply add 1-2 servings with whatever you've got in your supplement arsenal. Hit every nitric oxide receptor as hard as scientifically possible utilizing specifically dosed ingredients.